I used the same kitty litter for the past 15 years. That same clay-based, clumping litter served me well through four cats and five different homes. I had a healthy relationship with my kitty litter and no desire to change. And then came Pudge. Pudge is the cat who creates a sandstorm of kitty litter every single time he enters the litter pan. Pudge, he of the super furry feet, tracks kitty litter throughout the entire house. I’ve tried a variety of methods to contain the litter: a deep pan, a rubbery mat to catch any litter that exits the pan, obsessive vacuuming and sweeping. Now, my home is under complete renovation. 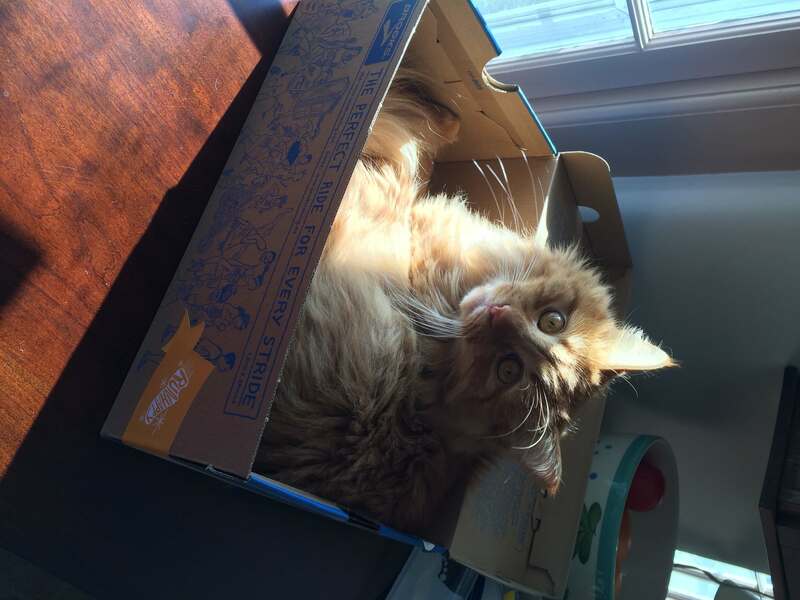 I am living with my husband, son, cat and dog in 500 square feet of space. And the kitty litter was everywhere. I had to make a change. 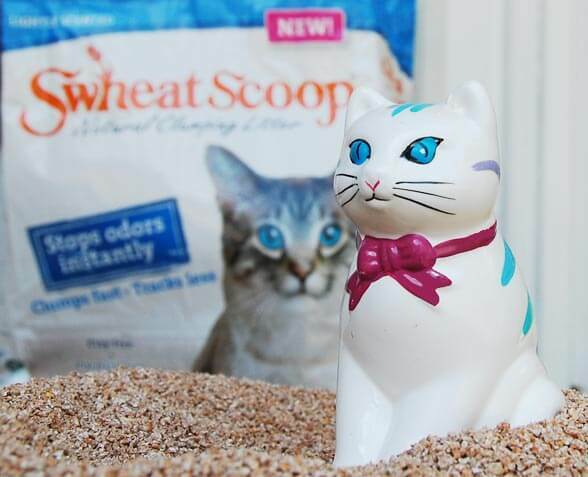 After 15 years, I divorced my kitty litter and found an amazing product: Swheat Scoop. This litter has vastly improved our quality of life (a necessary feat when living in such close quarters). 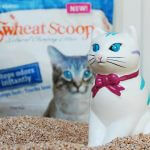 As its name belies, Swheat Scoop is made from wheat. It is unscented, lightweight and completely dust-free. It clumps amazingly well! And it is completely biodegradable. It still does track on Pudge’s feet, but much less so than clay-based litter. I’m just thrilled to have a dust-free, environmentally friendly litter choice. 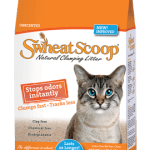 Swheat Scoop would also be a good choice for clients who have asthma, or who have asthmatic cats. It produces dramatically less dust than clay-based litters, and the fact that it is non-scented makes it appealing to anyone with respiratory issues. Scented kitty litters have been shown to be less appealing to cats, and they simply mask unpleasant litter box odors. 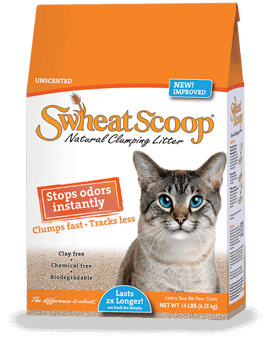 Swheat Scoop absorbs odors; even despite living in very close quarters with Pudge and his litter box, I cannot detect any unpleasant litter smells at all. I’m always excited to share awesome pet products with my friends and clients. Swheat Scoop definitely fits the bill! 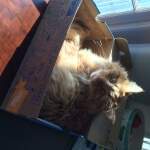 Now I just need to find a great product to follow Pudge around and collect the enormous clumps of orange fur he deposits everywhere.